Interior cans are usually 1 gallon or less in capacity, constructed of lightweight material, and are used for small items. 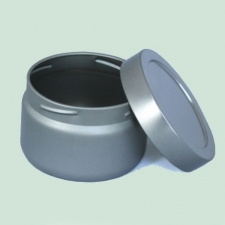 These containers may be utilized for unit packing as specified in MIL-STD-2073-1C. Interior type containers are packed in exterior containers such as fiberboard boxes, cleated panel boxes, wirebound wood boxes, or nailed wood boxes for shipment.